Take control of your email notifications. logs.email serves as a valuable proxy between your inbox and the numerous monitoring services and scheduled tasks that demand your attention via email notifications. Each inbox comes with an unlimited number of configurable rules. These rules let us know how and when you'd like to receive notifications. We'll help you setup a Slack webhook and begin sending notifications to your preferred channels, in addition to your email! 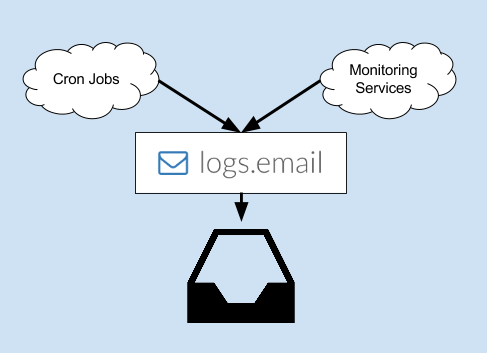 logs.email is a simple and scalable way to route your email notifications all over the web. We've got a lot in store! Let us know when you're off the clock and we'll hold your non-urgent notifications until you return. Your payment information is stored with top of the line security best practices. Each inbox that you create is just $5 per month. Add or remove inboxes as much as you like.